My company is not like other dog trainers and we aren’t like other dog training companies. I say this because you can go to just about any dog training company or any dog trainer in the Poughkeepsie area and find someone willing to trade you your hard earned money for a series of group dog training sessions or a handful of private dog training sessions. You don’t need three dog training sessions. You need a solution to your dog who is growling at the neighbor kid and barking at dogs on walks. You don’t need to go to 5 group classes and trot your dog around a ring. You need someone who can finally get your dog to stop pooping in the house, stop being so anxious, stop chewing, etc. Most dog trainers simply want you to buy a certain amount of sessions. If all you’re looking for is someone to get your dog to sit for a treat, or be in a group with a bunch of other rowdy dogs…. Then what we have probably isn’t for you. Our clients, like you, are a very specific type of dog owner. You don’t care if the solution to your problems comes in the form of two sessions or 10 sessions. …All you care about is a solution to your dog training problems. For that reason, we have a program unlike any other dog training program in Poughkeepsie and even in the entire state of New York. What it means for you is that you’ll never have to worry about whether your dog training problem can be solved. It means you won’t have to go from one dog trainer to the next (like so many of our clients). I am so confident that my unique training system can help you solve your dog’s aggression, house training, destruction, anxiety, and any other problem that we’ve created the most iron-clad, bullet proof guarantee in the industry. Our Private Plus Program gives you lifetime access to me. Here’s how it works. For six months you get as many private sessions with me as you need. You’ll never have to worry that you don’t have enough training to solve your issue. You’ll never have to worry about a dog trainer leaving you high and dry. To be honest, most clients are going to need anywhere between 4-8 sessions to work through some of even the most difficult of dog training problems. We take care of you with no extra charge. Typically during the first 2-3 months of your membership we’ll be able to work you through just about any issue you may be having. In addition to your private sessions, though, you’ll also have LIFETIME access to our group sessions. In our private sessions you’ll learn this new skill set of how to train your dog, in your group sessions you’ll perfect those skills around distractions of other dogs and people. Some people come to the sessions all the time, some just come every now and then as they need touch up. Regardless, you’ll have lifetime access to these sessions to make sure that your dog stays in great shape forever. 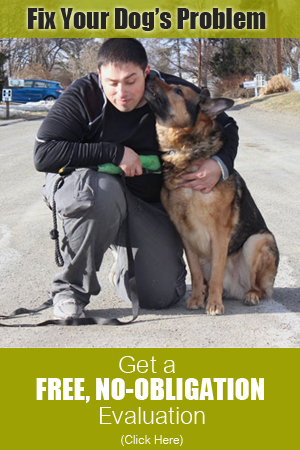 This truly is the most comprehensive dog training solution in Poughkeepsie. In addition, though, I want to make the decision a little bit easier for you to make. I’m going to give you a fully, no-questions-asked, 100% satisfaction, 30 Day, Money-Back Guarantee. That’s right. Start your program with me. We’ll make big time progress in that first month. Or I’ll give you your money back. No dog trainer is offering such a guarantee. It literally takes ALL of the risk off of you and puts it on me to make sure that I can solve your problems. So who is this program for? It’s for dog owners in the Poughkeepsie and surrounding areas who are looking for the best results possible. This type of dog owner knows that they aren’t going to solve their dog’s problems with a handful of group sessions at the local pet store. The type of dog owner who wants the freedom to hike with their dog off leash. The owner who wants to solve real problems. The owner who knows that a great relationship with their dog comes from excellent training. If all you’re looking for is a program to get your dog to walk properly on leash or a few basics then you may be needing one of our Primer Programs. But if you are looking for the type of results you won’t find elsewhere then our Private Plus program is for you. 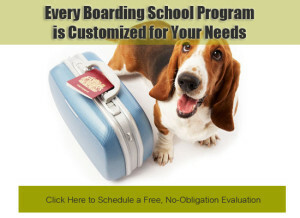 Prices and programs vary based on what you and your dog need. Book a free evaluation to talk about our training programs today.